The Ashley Centre was officially opened by Her Majesty The Queen in October 1984. The Centre's developers were tasked with creating a modern and exciting shopping environment, which merged with the historic fabric of the town. 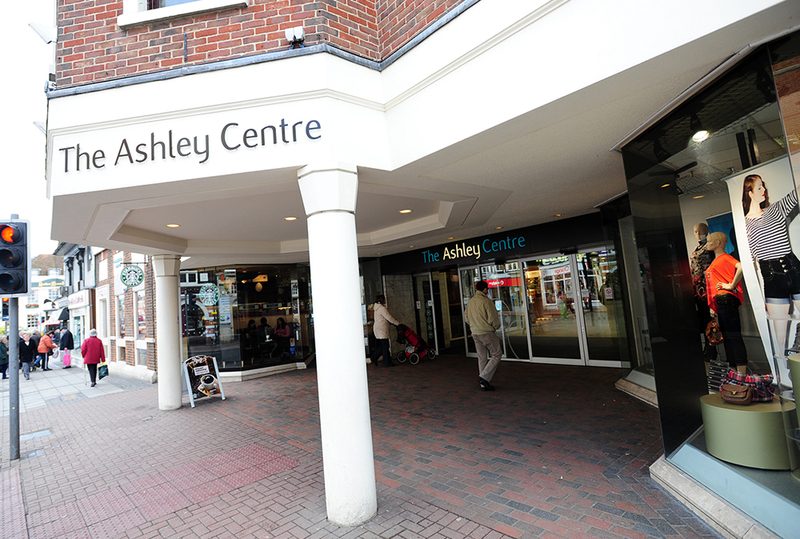 Over 30 years on, The Ashley Centre remains the premier shopping destination in the heart of Epsom. At The Ashley Centre you can shop in a relaxed, friendly and safe shopping environment with a choice of over 60 high street and independent retailers meeting your food, fashion, health and beauty, entertainment needs and more. Access is easy via car, bus or train and there is council-run car park conveniently located next door with over 800 parking spaces. It's no wonder we encourage you to "shop smarter, shop local" at The Ashley Centre. The Ashley Centre car park offers a Shop Mobility Service. Shop mobility offers a manual wheelchair, electric wheelchair and powered scooter loan service for people with mobility problems. Visit The Ashley Centre Car Park office located on the ground floor for further details or you can call the Shop mobility office on 01372 727086. The Ashley Centre is mainly on the ground floor, with easy access from the High Street and lifts available to all levels of the car park so easy access for people with mobility problems.